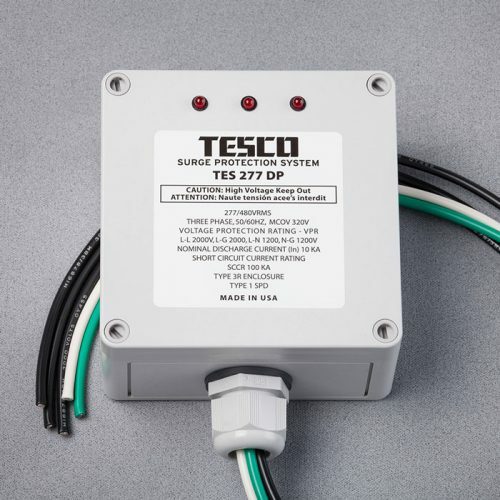 Introducing the TES 240 MSA Surge Arrester, installed at wattmeter, service entry or weatherhead locations for residential and light industrial applications. 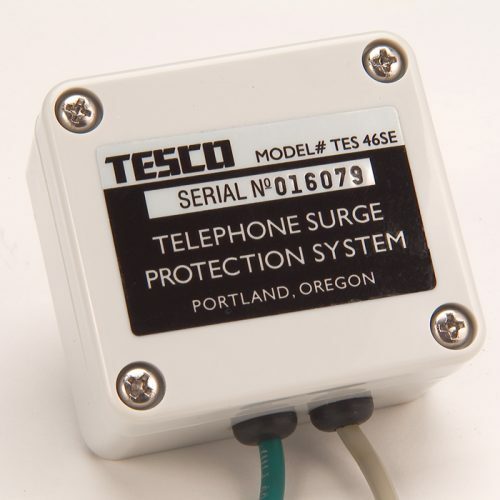 The TES 240 MSA Surge Arrester is specifically designed for long lifetimes even with strong lightning activity and temporary line overvoltage conditions. A tough Surge Arrester for tough line conditions. 120 VAC-240 VAC Surge Arrester for residential and light industrial usage. Installed at wattmeter, safely clamps and dissipates lighting induced AC line high voltage current impulses going to a residence, apartment or light industrial building. 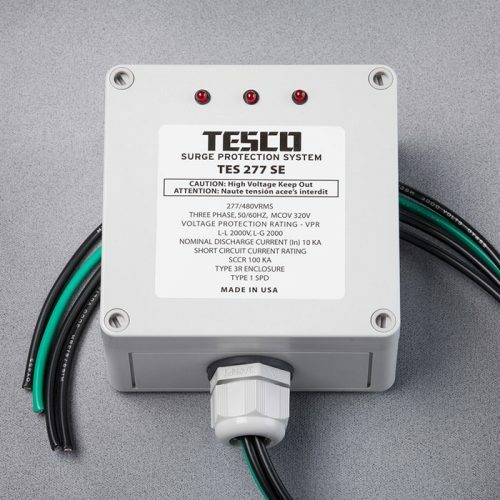 Also protects against AC line temporary overvoltage conditions. Prevents damage to computers, faxes, copiers, VCR’s, TV’s, stereos or other AC line powered electronic/electrical equipment. 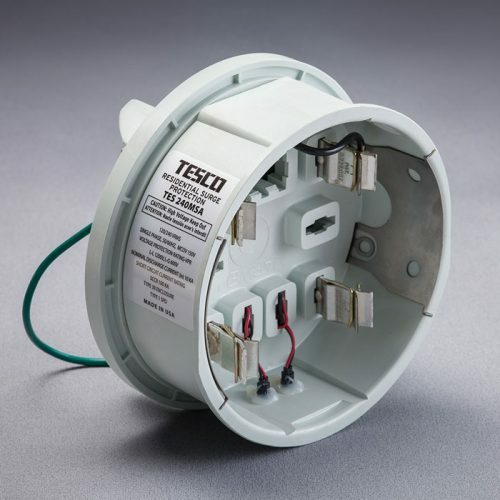 Suitable for 400A ring or ringless style watt hour meter base.